The Seven O Ranch is a game preserve located in Cashion, Oklahoma. just north of Oklahoma City and just west of guthrie. 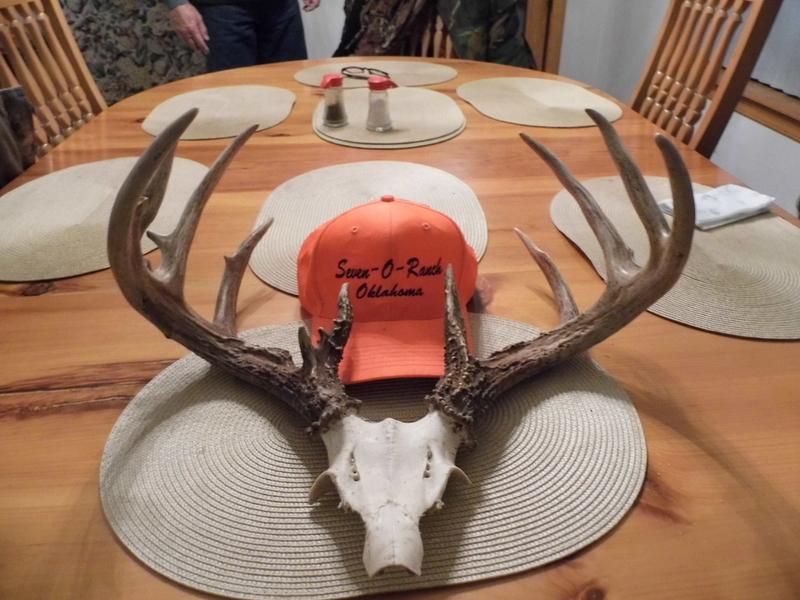 We offer guided hunts at affordable rates. This is a family run OPERATION. We work very hard to give you the best EXPERIENCE possible. Contact us to plan your next hunt. This the barn and the pear orchard. The bunkhouse is located n the barn. We have owned our family ranch since 1994. It has been managed to create a hunter's paradise. It is located close to Oklahoma City but it is a peaceful retreat from city life. On the ranch we have abundant wildlife and many hunting opportunities with great habitat. It is located on the Cimarron river and it has large grass fields and wooded areas. We have several ponds and food plots. We have a pear orchard near the barn with a fire pit out front. We have a shooting platform in back of the barn and dog kennel attached. Inside the barn we have a 2 room 1 bath bunkhouse. Here you see Daisy with the great point and Cora with the honor. 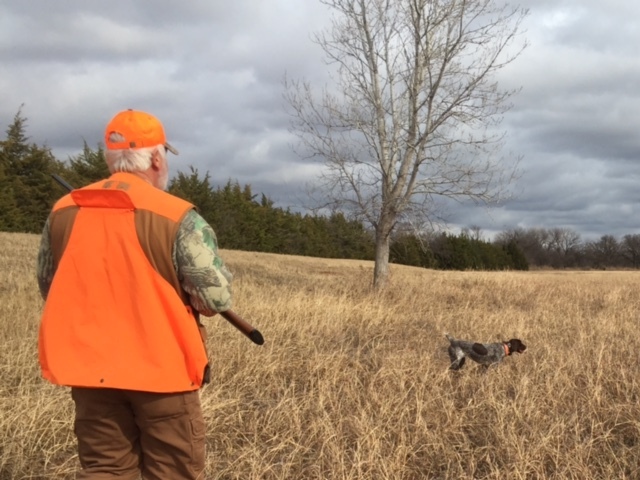 Our german shorthair pointers love to hunt. 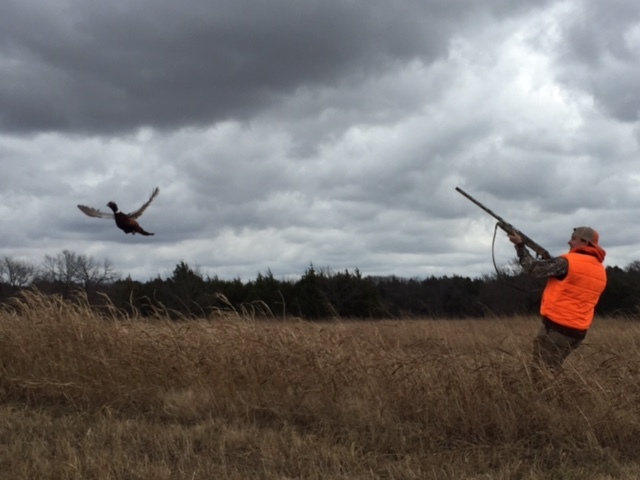 We offer excellent Pheasant and Quail hunting. We are short drive north from Oklahoma City. If you live in Oklahoma City you do not have to drive several hours to hunt pheasants. You can drive 30 minutes or less to our ranch and hunt with us. We would love to take you hunting. We have well trained dogs and take care of our clients. We are a family run operation and treat all our clients like guests at our home. Contact us to book your next pheasant or quail hunt. Seven O Ranch Trail Camera.